Tracy Besek started Bike Dearborn about five years ago with a simple hashtag: #bikedearborn. 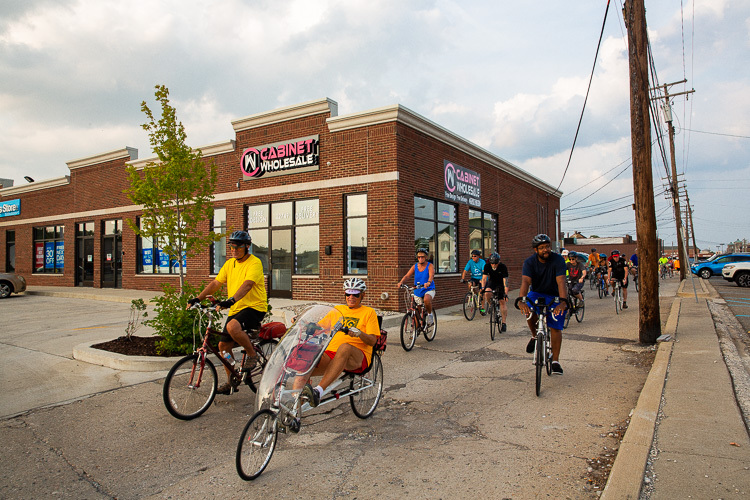 That soon turned into a partnership with Dearborn Bikes, the city, and has grown to include many in the current Healthy Dearborn coalition, a team of partners that strive to promote healthy living in the city. She’s far from alone these days. Besek says the Walk and Rolls have grown tremendously in the past few years, from 13 participants in the first year in 2016 to around 80 at the most recent event. Norwood says that Zagster also agreed to set up a pop-up bike share during the city’s popular Homecoming festival Aug. 3-5. There will also be a temporary bike valet set up during the festival so that guests can ride their bikes to Ford Field Park. Both will be located on the tennis courts. 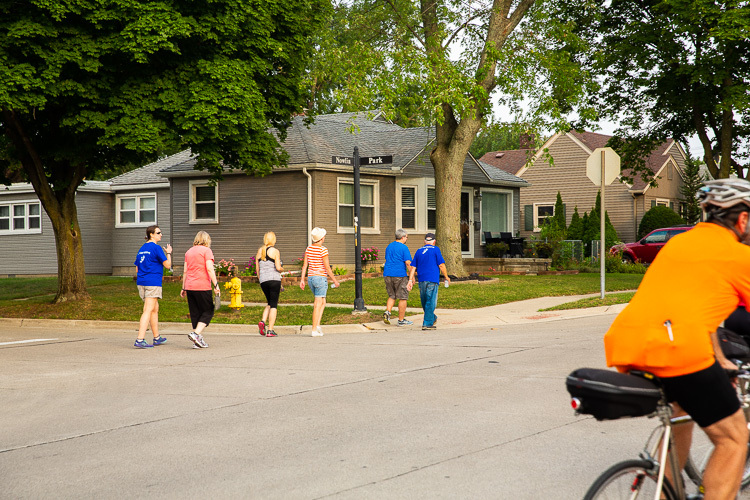 Besek's efforts are part of a growing culture of multimodal transportation in Dearborn, and city leaders are taking note. The City of Dearborn is in the midst of a multimodal plan that will combine many facets of connectivity to make transportation easier for citizens, employees, and visitors. Last December, an advisory committee was gathered consisting of over 30 different people from different organizations to formulate the city’s first multimodal plan. From there, a series of public engagement meetings gave the community a chance to weigh in. An additional round of public engagement is planned. The committee included representatives from Ford Motor Company, Dearborn Public Schools, University of Michigan-Dearborn, MDOT and others. At first, the plan focused just on greenways and biking. It has since evolved into an all-encompassing proposal to define current and future needs and desires for people who walk, ride and drive. Proposed improvements to walkways, roads, and trails are incorporated. The City brought in Norm Cox, President of The Greenway Collaborative and a premier non-motorized planner in the Midwest, to consult on the issues and solutions that Dearborn faces in the plan. Cox says that there are many “cool” things to do in the city, but often, it is hard to find where they are. He also mentions Ford’s presence in the city and with product development and manufacturing and cultural landmarks such as The Henry Ford and Henry Ford’s Fair Lane estate, as key icons in Dearborn’s landscape. Cox explains that Dearborn’s center was originally planned around the automobile, with large buildings surrounded by enormous parking lots. He also says that despite that disjointed feeling, there are many opportunities that will make the transformation of the transportation network more efficient. One such boulevard, Outer Drive, is due to get a makeover that will include state-of-the-art bike lanes for its entire six-mile length through Dearborn. Donald and Mary Kolsch donated money through Healthy Dearborn and the Dearborn Community Fund for the project. The City started working on the details to implement that and found they had an opportunity to make it more efficient than the original design. 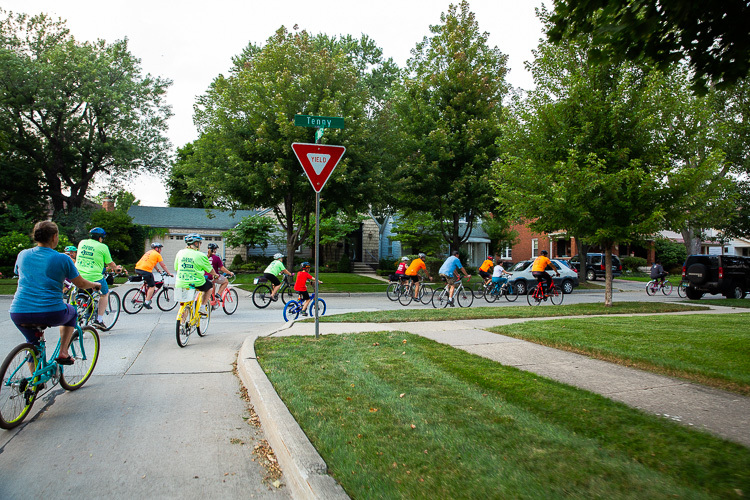 “We started to realize that this is not just a bike lane, but is a connection to the Hines Dr. Trail and a link to the entire region,” says Ayoub. Ayoub says the city is working out the details on how to make it safer and to encourage riders to use the lanes more often, and that the paths should be implemented by 2019. Other paths will eventually link Dearborn not only to other cities but to itself. The Central Loop will connect the John Dingell Transit Center through the Fairlane Mall area, through the Hubbard Drive UM-Dearborn campus, to the Ford Motor Company World Headquarters (WHQ) to the Dearborn Administrative Center and back to Ford WHQ. Those west neighborhood connections will also eventually include the West Dearborn Downtown Discovery Trail, which will include parts of Wagner Place, Ford’s major downtown development project. “It’s conceivable that all three trails could be open by the end of next year,” says Murray. Dearborn’s main corridor, Michigan Avenue, is dotted with SMART bus stops. The new Frequent Affordable Safe Transit (FAST) bus line makes multiple stops along Michigan Avenue. SMART is also working to improve some of the shelters along Michigan Avenue, which will include electronic message boards that display updated bus schedules and solar power roofs. The main goal in reconfiguring public transit is asking how riders make it “The Last Mile” from a train, car, or bus to their jobs, work, or school. Ford Motor Company recently acquired Chariot, one of the first self-sustainable mass-transit systems hoping to relieve congestion and offer a personalized commuting experience. Using an app on a smartphone, riders can view routes from private organizations like Quicken Loans, and utilize those routes for their Last Mile destination. Chariot will monitor the use of the lines and then change routes depending on how many people are using specific routes. “I’m kind of excited about the opportunity that brings to the city and maybe to the region,” says Ayoub. Besek says the ultimate goal in all of this is to build a stronger, safer and more connected infrastructure.